Huge thanks to all the hard-working features editors who shared so many amazing coverage ideas at the Society for Features Journalism conference in Kansas City! Remember, journalists are encouraged to borrow and adapt the ideas discussed at our Show & Steal presentations each year. We’re all doing more with less, we’re all eager for good ideas that worked — and, thankfully, we’re all in this together. Let us plan your year: Yes, the holidays, but also think seasonally — spring, summer, back-to-school, winterizing, hurricane prep — anything that happens annually. We want to help each other plan a calendar of content ideas. New ideas that worked: A digital feature, a new digital presentation, a new way you grew audience or got reader solicitations. Content, events, whatever you tried that worked! That’s entertainment: The name says it all — the best of your culture coverage, both high and low. Editor’s favorite: Cool multiplatform presentations and anything else you loved. It went viral: We all need the traffic. Tell us how you scored page views and engagement. Also, in the wake of this year’s destructive hurricanes, we added a special category about how to handle coverage of hurricanes and other natural disasters while living through the danger on a personal level. Thank you to the Houston Chronicle in Texas and the Sun-Sentinel in Florida for taking the time to tell us how you did what you did. The Society for Features Journalism has honored seven Pulitzer Prize winners and a host of other journalists as part of its 2015 Excellence-in-Features Awards contest. Also receiving recognition were 10 newspapers for outstanding features sections and journalists in 15 other categories. Winners were announced today. More than 800 entries were judged in the contest, which honors the craft of feature storytelling and the people who do it for a living at news organizations in the United States and Canada. Winners will be recognized at SFJ’s national conference Aug. 26-29 in College Park, Md. What does it do? 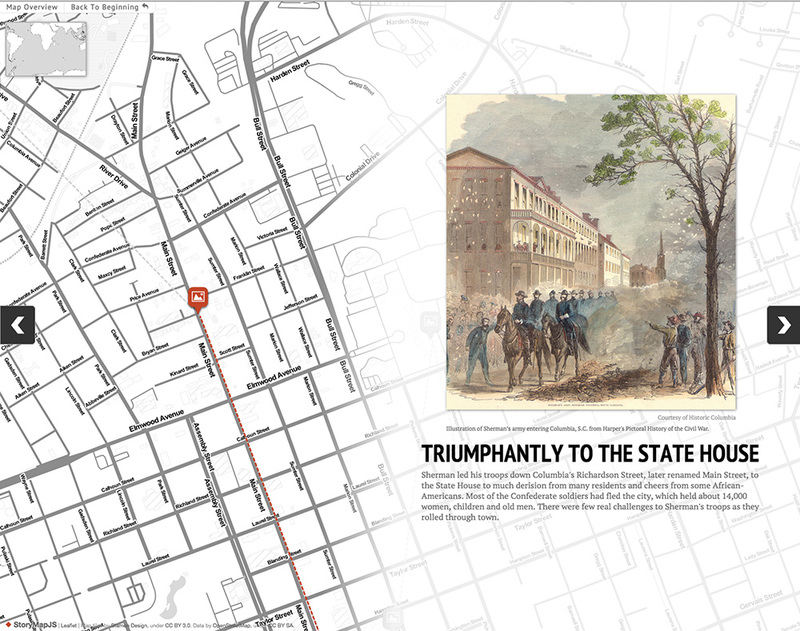 Creates clickable map that allows you to tell a story at each point. What’s cool about it? Embed video and photos at each point, bringing a map to life.